The Sexiest Chromebook To Date. Easily one of the most confusing products of the first half of 2013, and one of the most difficult to review because unlike most products, they are usually geared towards consumers, this one however, is not. Aesthetically the Chromebook Pixel is nothing short of awesome. With an aluminium uni-body chassis, taking a design cue from the Macbook Pro, which in itself is not a bad thing at all as they are both very good looking pieces of kit. The pixel utilizes the familiar chiclet style keyboard which, as a bonus is backlit. There is a large glass trackpad which wouldn’t look out of place in the Macbook range, but the cherry on-top however, is a ‘light-bar’ located on the front edge of the lid that Google says “It is included simply because its looks cool’, and they’re not wrong, it most certainly does. Under the hood you’ll be working with a 1.8 GHz dual-core Intel Core i5 processor, 4GB of DDR3 RAM, and a 32GB SSD for storage. That isn’t all either. With your purchase users get 1TB of free Google Drive cloud storage. Basically Google wants us putting anything and everything on the cloud. Then you’ll get two USB 2.0 ports (sadly no 3.0), Displayport, and 3.5mm for headphones all on the left edge, then a full SD slot on the right side for when you need more than the integrated 32GB of storage. The you will also find a sim slot for those opting for the 64GB 4G LTE model. The Pixel makes a very bold statement with its screen, boasting the highest pixel density of any laptop at 239ppi. With a resolution of 2560 x 1700 packed into a 12.85” 3 x 2 aspect ratio, which is something that has never been seen on a standard laptop. But it makes sense, as it gives you more vertical real-estate, allowing for a better web browsing experience. But the screen features don’t stop there, the Pixel is equipped with a 10-point multi-touch display. The usual concern with touch-screens on laptops still applies, there is a considerable amount of wobble when using the touch-screen but this is easily rectified by supporting it with your free hand. It would have been nice to see the hinge be less forgiving in this sense, but not a huge issue. Weighing in at a respectable 3.35 pounds lbs, the Pixel is only marginally heavier than the Macbook Air (2.96lbs). For a laptop that is in the same market as the Airs older brother the Macbook Pro, (which incidentally comes in at 4.5lbs) the Pixel is definitely a portable piece of hardware. The lack of anything “touch-screen optimised” is a noticeable, and Chrome OS is no exception to this, at least for right now. That being said, the Chrome OS experience isn’t too dissimilar to what we have already seen on the cheaper £200-£300 Chromebooks, and probably the web browser you are viewing this review in now. This is a pretty advanced version of Chrome OS though, and it has some neat tricks to make it feel more than just a web browser. For those of us with a need to multi-task, multi-window action is a must, and the Pixel now provides ‘Window Management’ which will help you to manage your workflow, that much easier. There is also a bar located at the bottom, which is similar to what you would find in Windows 7, where you can pin and launch applications. Located at the bottom right of the screen is a floating ‘settings’ tab, giving you quick access to things such as volume, brightness etc. If you are familiar with Android tablets, navigating this menu should be a breeze. All of this can be dismissed from the screen with a simple swipe down on the screen. The Chromebook Pixel features a chiclet style, backlit keyboard. Google obviously make no bones about the keyboard design being awfully similar to what you would find on any Macbook, however it still makes an attempt to be unique. There are command keys along the top that house the more commonly used commands for web browsing. The only downside is that none of these keys are spaced apart, and feel a little cramped. A keyboard combo is used to adjust the backlighting, which could have been simplified by allocating command keys to do the job, that aside the backlit keys are excellent. The keyboard itself sits in a slightly recessed area but are easy to hit, with a good responsive action. Overall, the keys have a perfect blend of spacing, and the same perfection is there for the pressure and resistance while typing. The same attention to detail from the keyboard and display is mirrored with the Trackpad. Made of etched glass, the trackpad works as expected. It’s smooth, accurate, and comfortable. It has a sultry black matte finish that sets itself apart from the rest of the aluminium body, and gives the user some tactile feedback. Google have been very clever when it comes to Sound with the design of the keyboard, which may not seem as though it goes hand in hand. But the Chromebook Pixel has a few noise cancellation microphones to cut down on the keyboard typing sound if you’re using a mic or enjoying a Google+ hangout. Secondly, the built-in stereo speakers are discreetly integrated under the keyboard. There’s no speaker unsightly grills to detract from the overall aesthetics of the device and the sound isn’t hindered either. Obviously you’ll still get that laptop ‘tin-can’ sound, but the quality and volume levels are some of the best you can expect to experience. Battery life leaves a lot to be desired, on an average days use you can expect to squeeze out a dismal 5-6 hours. If you begin to use the Pixel for anything other than web browsing however, that number drops dramatically, just about managing to get through a couple of 1080p movies in one go. The Chromebook Pixel is definitely not a consumer product, it stands in a class of its own. That being said, if you want the ease of use of Chrome OS, with the style of any Apple product, the Pixel is for you. This is a tough one to answer, as the Pixel is without a doubt, a quality piece of kit, with some stunning features. With a price tag upwards of £800 ($1300) -depending on which model you go for-, the Pixel seems a bit much for the everyday web browser that it actually is. Basically, Google and have done a lot to re-tool Chrome and Chrome OS for touch and high-res displays, so why not make a laptop that showcases this, and if it gets people excited about it, then so be it. The Chromebook Pixel is a reference design at heart, and Google have said that they don’t expect anyone to buy it, but if that very same ‘reference design’ just so happens to get people thinking about Google as a producer of high-end, luxury products as well as a commoditised search engine and email provider, it is bound to peak the interest of some people who are willing to part with their cash. Google is fast becoming a legitimate name in the hardware market, much faster than Apple is becoming good at services, and the Chromebook Pixel is the best example you will ever see as testament to that. If Apple wants to keep their crown, they had better start paying attention. 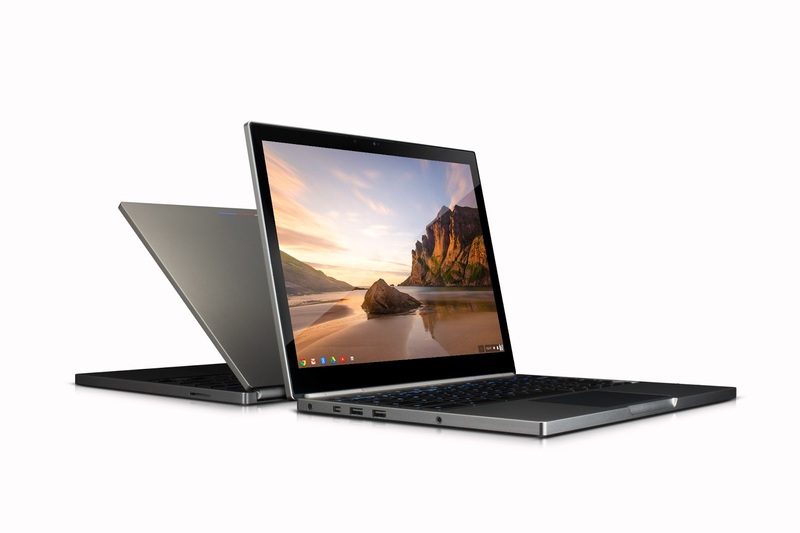 Ultimately, unless you have a tech fetish, want a device to give you bragging rights, you love Chrome OS but want it to be house in top-notch hardware, and have lots of money to burn, then you will be forgiven for opting not to purchase this Chromebook. Just keep an eye out for the future Chromebook models, as they are sure to be heavily influenced by the Pixel. ‹ Is It Just A Paperweight, Or A Worthy Successor For The Kindle Crown?